When American troops are wounded in combat, medical experts say it's crucial that they get to advanced-level treatment facilities within 60 minutes -- the so-called "golden hour." But in 2009 in the rugged terrain of Afghanistan, the standard for receiving medical care after an injury was two hours, a delay that greatly reduced wounded troops' chances of survival and rapid recovery. That year, Secretary of Defense Robert M. Gates mandated a standard "golden hour" policy. Prehospital helicopter transport of critically injured combat casualties had to occur in 60 minutes or less, from the first call to the arrival at the treatment facility. Now, a new study published today in the journal JAMA Surgery confirms just how big a difference the policy made. Researchers found that the initiative was successful, saving an estimated 359 lives between June 2009 and March 2014. Researchers from the United States Army Institute of Surgical Research at the Joint Base San Antonio-Ft. Sam Houston compared morbidity and mortality outcomes for casualties before and after the "golden hour" mandate, and for those who were transported to a hospital in an hour or less versus those who took more than 60 minutes. The analysis included data on 21,089 U.S. military casualties that occurred during the Afghanistan conflict from September 2001 to March 2014. The researchers found that of all casualties, the percentage killed in action was 16 percent before the mandate compared to 10 percent after. The percentage that died of wounds remained relatively unchanged. Among 4,542 casualties with detailed data, the researchers found that before the "golden hour" mandate, only 25 percent of troops wounded in Afghanistan reached advanced trauma care within 60 minutes. After the orders went into effect, that number rose to 75 percent. "As transport time decreased and capabilities increased, casualties who would previously have been in the killed in action mortality group survived outright or survived long enough that they shifted to the DOW [died of wounds] mortality group, and casualties who would previously have been in the DOW mortality group were also surviving," the authors concluded. "Decreasing the time from injury to arrival at the treatment facility challenged the full measure of the trauma system with more critically injured casualties who then benefited from the care they received." In an accompanying editorial, Dr. Todd E. Rasmussen of the U.S. 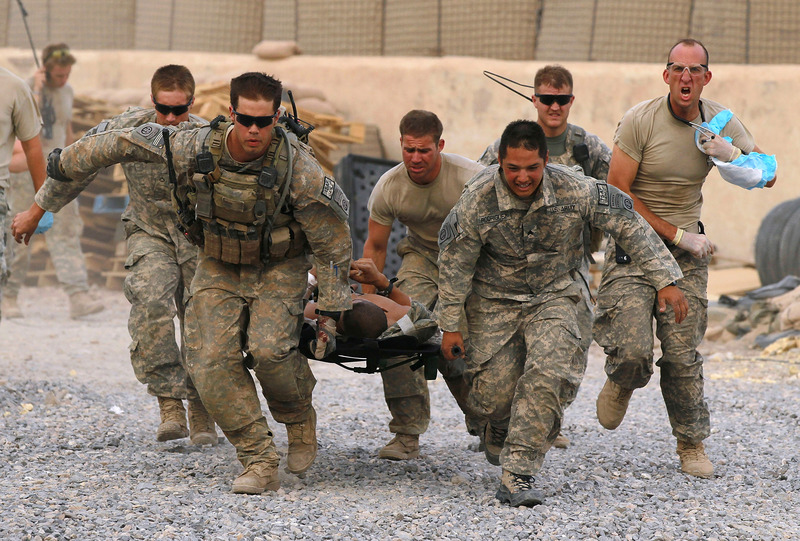 Combat Casualty Care Research Program at Fort Detrick, Maryland, said that the research confirmed previous studies demonstrating the effectiveness of getting rapid care to injured troops. He also pointed out that the study is limited in that much of the data surrounding combat casualties in the U.S. military is incomplete or inaccessible. He called for a more uniform process for "recording, coordinating, and analyzing data from this phase of care." Doing so, he said, will help inform future policies.